ACDSee Ultimate 11 is an all-in-one digital asset manager and layered editor, that ensures unparalleled number of creative graphic and image composition needs. Armed with a potent list of adjustment layers, working with layers just became non-destructive, giving you the complete flexibility to create the image composites, photo manipulations, and innovative graphics you’ve been envisioning. 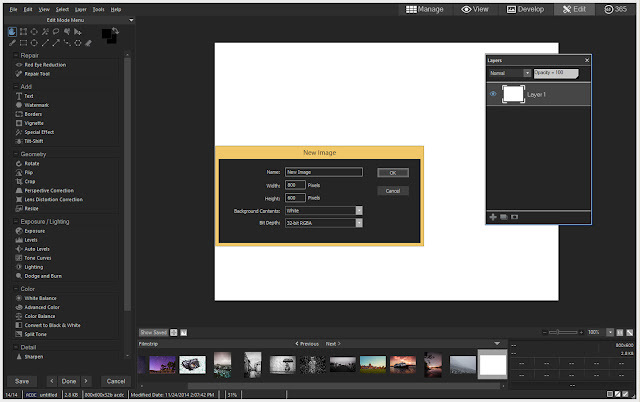 With new ways to track your adjustments and apply them to batches, development snapshots, extended creative capabilities through Adobe Photoshop plugin support, new lighting and skin tone adjustments, additional ways to compartmentalize, even more drawing tools, improved lens correction, high DPI support, and so much more, ACDSee Ultimate 11 packs a valuable punch. ACDSee Ultimate 2018 combines layers, image editing and management tools with new GPU-accelerated adjustment layers, support for 4k monitors, improved lens correction, a chronological view of your entire photo collection, tools for tracking and returning to various adjustments, as well as applying them to other sets of images, and much more. ACDSee Ultimate 11 has improved drawing tools in combination with adjustment layers, that make even easier to create original advertising, innovative graphics, and powerful art imagery.